Improving weather means an increased focus on the great outdoors and a chance for residents and visitors alike to sample some of the many activities that we have to offer. The tourism economy in Neath Port Talbot is built on strong foundations but we all have a responsibility to ensure that the potential of Neath Port Talbot is truly exploited to the full. If we can work together and do that, then more people will spend more time in the county borough supporting local businesses and creating jobs. We have no shortage of high quality attractions. Afan Forest Park, Aberavon Seafront, Waterfall Country, Gnoll Estate, Margam Park and Graig Gwladys are amongst the best natural assets in the whole of Wales. Similarly, Aberdulais Falls, Cefn Coed Museum, South Wales Miners Museum, Neath Abbey, Neath & Tennant Canal and Swansea Canal are perfect for families looking to spend a great day out together. Add into the mix the cultural offerings provided by the Gwyn Hall, The Princess Royal Theatre and Pontardawe Arts Centre plus the annual Neath Food & Drink Festival and many other attractions and Neath Port Talbot can stand tall when competing against other parts of the country for the economic boost that tourism can bring. In 2016 tourism contributed £110.28m to the Neath Port Talbot economy. However this was actually a 1.2% decrease from the previous year. Similarly, visitor numbers reduced by 3.9% in the same period. So what can the Council do to help turn this around and get things moving in the right direction again? It is clear that as a local authority, we can play a key part in enabling new and existing tourism businesses to develop and grow. We can take a co-ordinating role, bringing the different levels of government, various agencies and local tourism stakeholders together in a common and united direction, strengthening partnerships where required. Creating a new distinct, confident identity for Neath Port Talbot, whilst remaining part of the wider Swansea Bay and South Wales offers, is also a must. That will be challenging but something that we need in order to succeed in our task ahead. 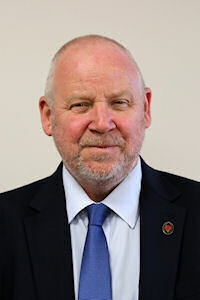 The next step to be taken by this Council administration will involve meeting with and listening to those already deeply involved in tourism in Neath Port Talbot and finding out from the frontline exactly what we should provide in addition to the support that already exists. This process will begin very shortly. Informed decisions can then be taken on the format of any investment and human resource required so that we can continue and intensify the journey of making the most of the fantastic assets that we currently have within our County.